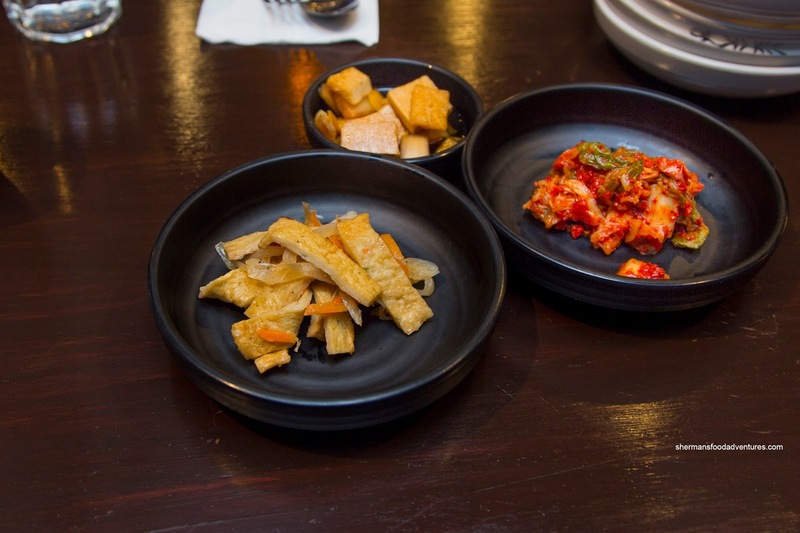 We were started off with the usual Banchan consisting of kimchi, pickled turnip and fish cake. As typical as Banchan is to a Korean meal, the addition of fish cake was a nice treat (compared to bean sprouts, although we wished there was stewed potato though). The star was the kimchi as it was appealing in colour and impactful in flavour. There was a noted spiciness that had depth. I liked how it wasn't just sour cabbage (like many other places prepare it). 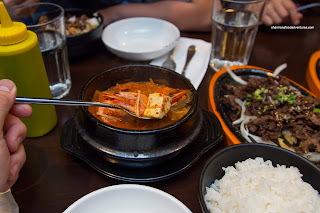 Seriously bubbling hot, the Kimchi Seafood Stew was the beneficiary of the same delicious kimchi. Hence, it was rich and spicy with just enough tang. There was also a noted brininess as well. Onto the stuff we were really here for (the kiddies love it), we had both the Beef Bulgogi and Chicken Bulgolgi. Both arrived sizzling on a hot cast iron plate lined with white onion to prevent sticking and overcooking. We thought the meat was on point being tender and still moist. 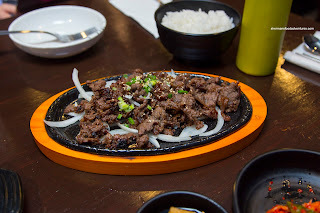 Although the beef featured too many smaller bits, it was balanced between sweet and savoury while exhibiting a seared smokiness. The chicken was a bit less caramelized, but was still good. These did not include a rice, but it was necessary. That brought the price of each dish to $15.00 + $2.00 = $17.00. A bit steep, but it was tasty nonetheless. 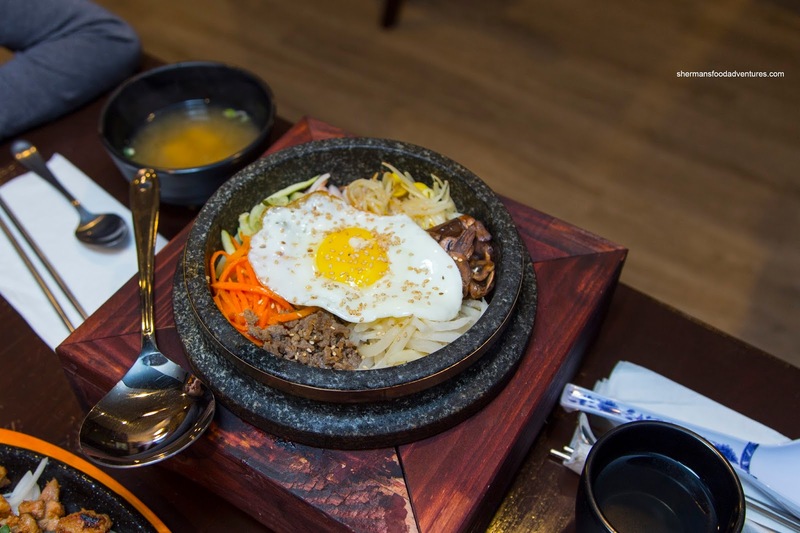 Lastly, we had the Dolset Bibimbap with the usual ingredients, however, we would've liked to see a raw egg here rather than the sunny side up version (since we had a hot stone bowl to cook it with). Despite this, the rice ate really well being chewy and not mushy. The dolset was hot enough to create a wonderful nutty crust. 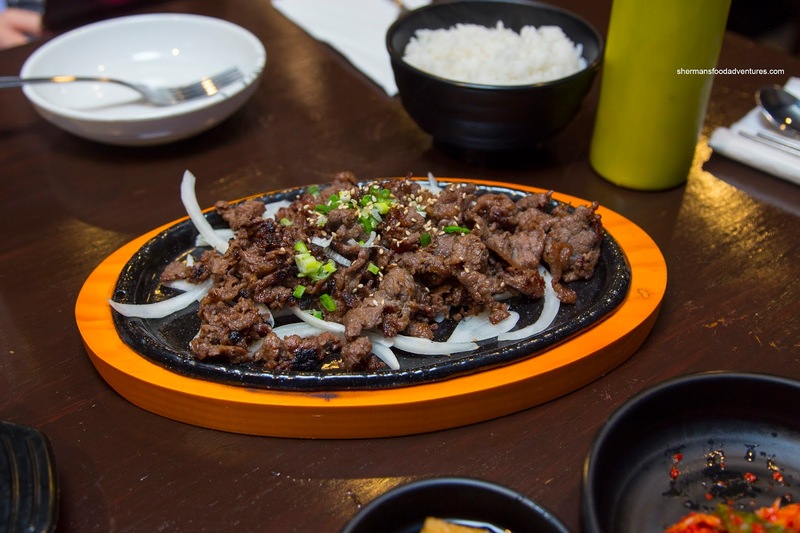 The same delicious beef bulgogi helped add a sweet savouriness to the rice. Compared to the previous restaurant that resided here, DooBoo is an improvement. 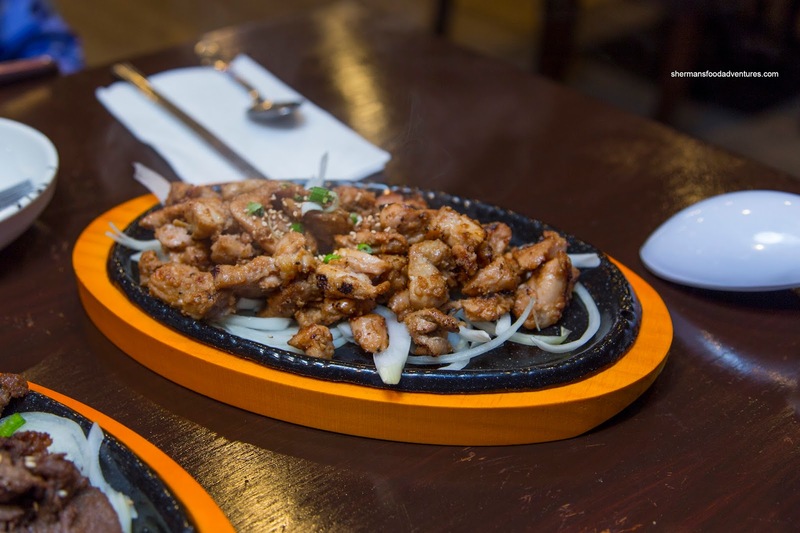 Pretty solid Korean eats with surprisingly good service. 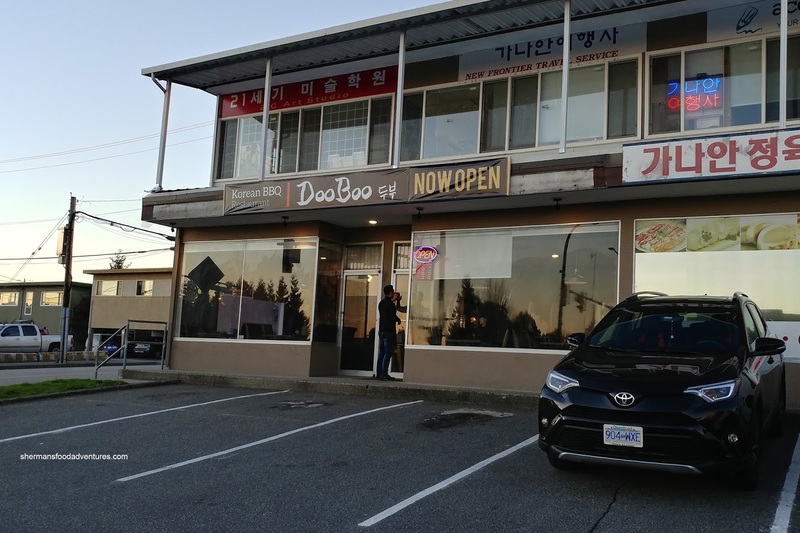 Wow that location must have seen at least half a dozen different restaurants just in the past 10-12 years alone. Good that this most recent tenant seems solid foodwise.